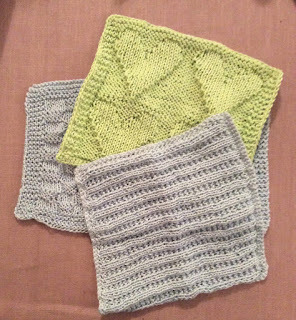 I have never been much of a knitter, my mother is a much better crocheter than knitter so it is no mystery that crocheting is something I found a lot easier than knitting but I did want to learn and so about a year ago I started my knitting adventure. 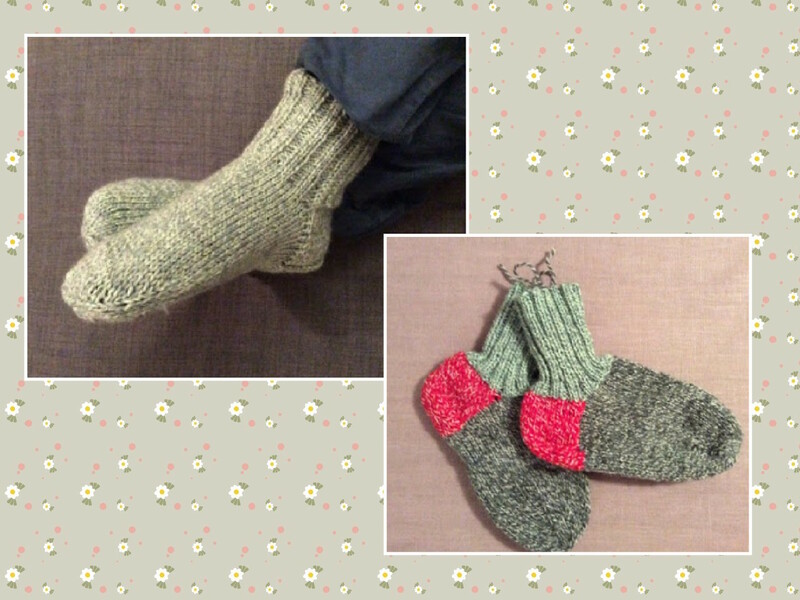 I learnt how to make socks, my friend wrote down her pattern and helped me to knit two whole socks and a half (a ufo from my mother) and a whole community on Ravelry cheered me on because we were having a knit-a-long making socks. I made a couple of shawls, which unfortunately were quite curly even with blocking but otherwise they were good. And then I started making hats for Christmas, I made six hats and three washing cloths. 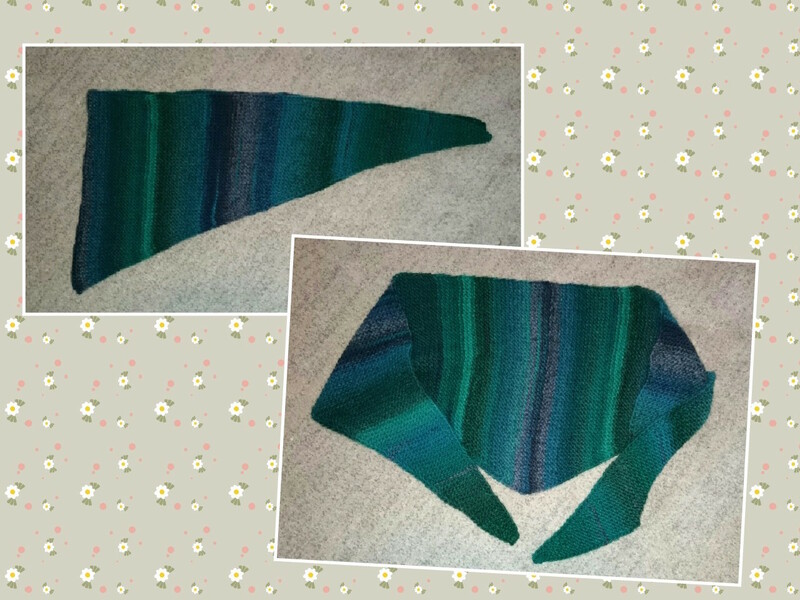 I felt I had a good grip on hats and started on scarfs, I have now made two scarfs in garter stitch and am having so much fun. It was interesting to see the difference a bigger needle made. But my biggest challenge, my all time knitting adventure has been on hold for a while (because I have no idea of where I am in the pattern after I put it down to concentrate on my wedding dress), it is a jacket! I adore the pattern, another friend of mine made me one moons ago but it is too small so I grudginly gave it away and now I SO want to finish my jacket. 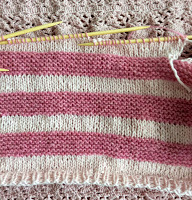 Then it is onwards and upwards on my continuing knitting adventure! I want to become an OK knitter, I want to be able to make dresses, baby rompers because there is nothing cuter, scarfs with lace and not just accidental holes, I want to learn cables and make owls and bunnies with little puffy tails. I want to be able to knit just as naturally as I do crochet. I want to be able to wing it and tweek patterns. So please join me in my knitting adventure, it has only just begun. Knitting is one of those crafts that I always wanted to learn but never did because I didn't have anyone to teach me. 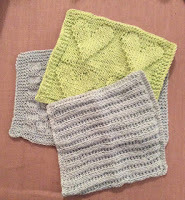 My mother and grandmother taught me to crochet but since they didn't know how to knit they couldn't pass it on! I learned to crochet from my Mom when I was a kid. Same as your Mom, she preferred crocheting to knitting. A long time ago, when I was taking a parent-child class with my daughter (who is now 21) I learned how to knit. I'm still not a great knitter, but I do enjoy it sometimes. 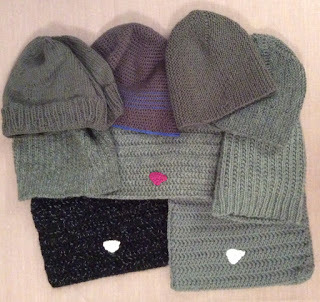 Good luck on your knitting journey and with the a to z challenge! These all look great. You are well on your way toward your goals!! susanbruck.com Thank you, good luck to you too. You can't be a pro at everything and being and ok knitter is fine, an ok knitter is my goal and if I become a good knitter I will be very pleased. I do enjoy knitting too, if I don't make any mistakes that is, ripping is so much harder when knitting than crochet!